I don’t think I’ll ever run out of favorite items from Etsy. Seriously, check out this month’s line up. 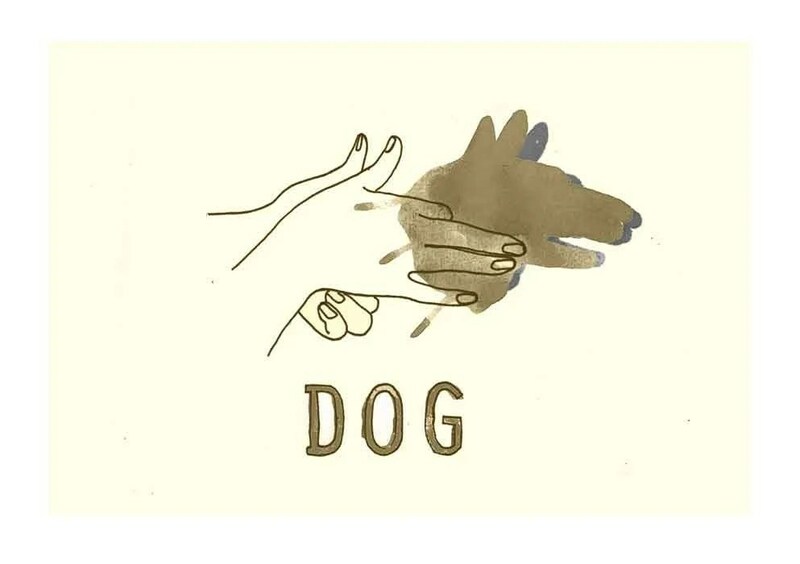 Dog Hand Shadows print from Louisest Art. This would be a fun touch in a kid’s room or play room. 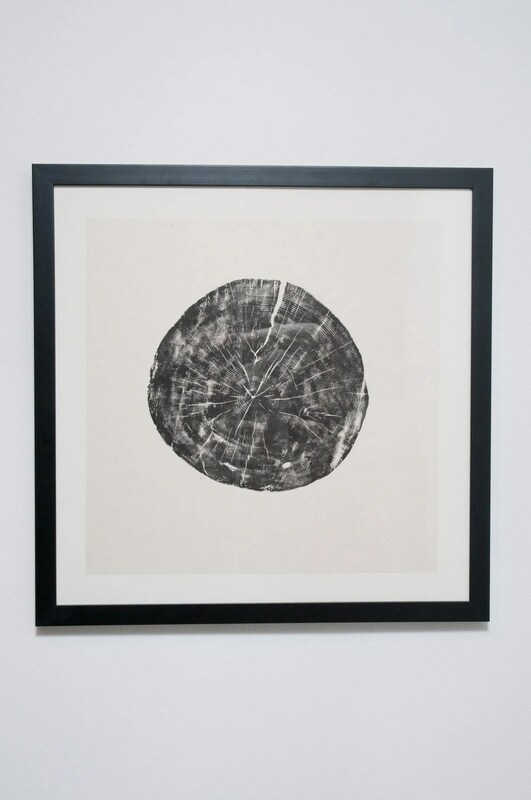 For the nature lover, this original oak art piece from Katie Creates. 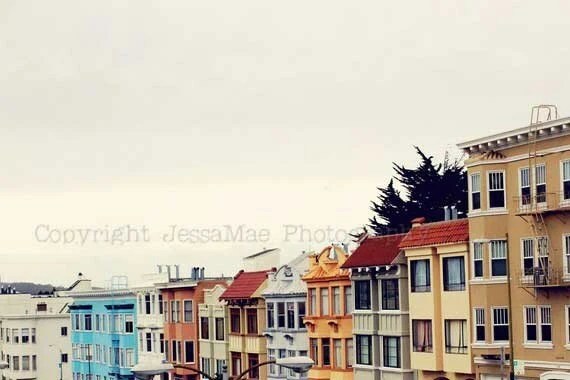 The colors in this By the Bay print by Jessa Mae just make me happy. I’ve seen Perennial Moment by Paper Moth pop up all over. And for good reason. 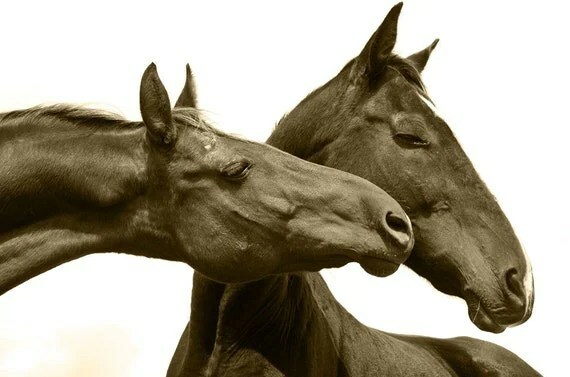 Horses are just so pretty. Kiss Kiss print from Tailed Blue Photography is stunning. 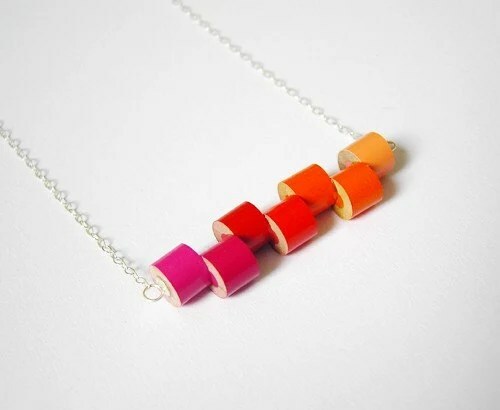 For the artist in your life, why not buy a unique colored pencil necklace from HuiYi Tan. Trying to be more eco-friendly? 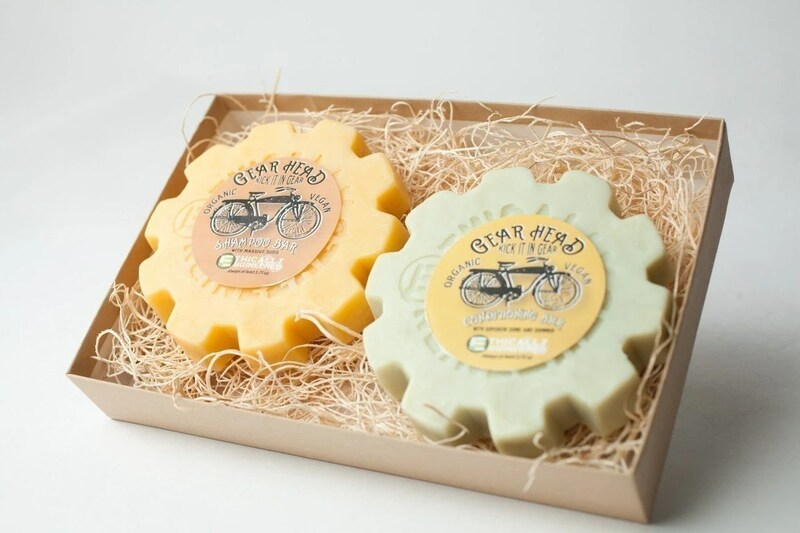 This no bottle shampoo and conditioner by Ethnically Engineered packs a one two punch by eliminating plastic containers and is made of natural preservatives. I want to try it. White ceramic dinnerware is classic. 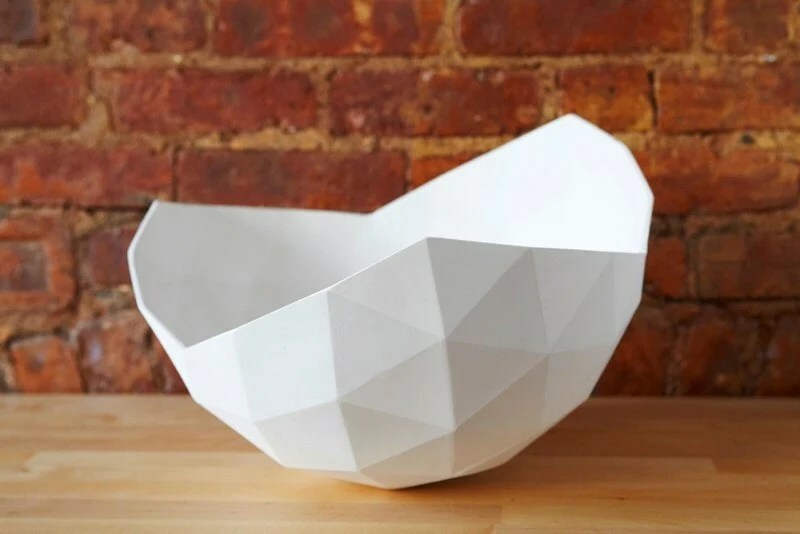 Add a modern twist with a Geo Bowl from TimBSOB. 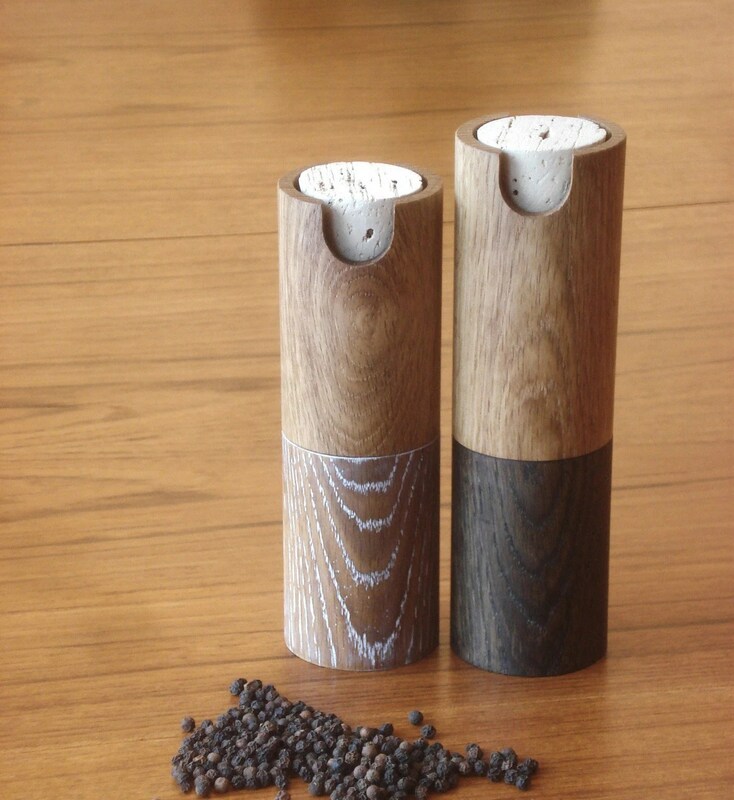 Add warmth to the table setting with beautiful wooden salt and pepper grinders made by Teal and Gold. 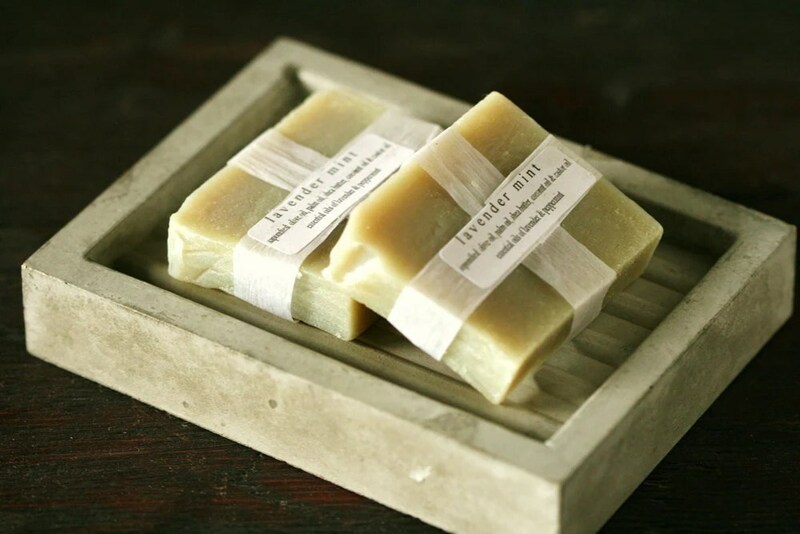 For the manly man, try this concrete soap dish from Obelisk. 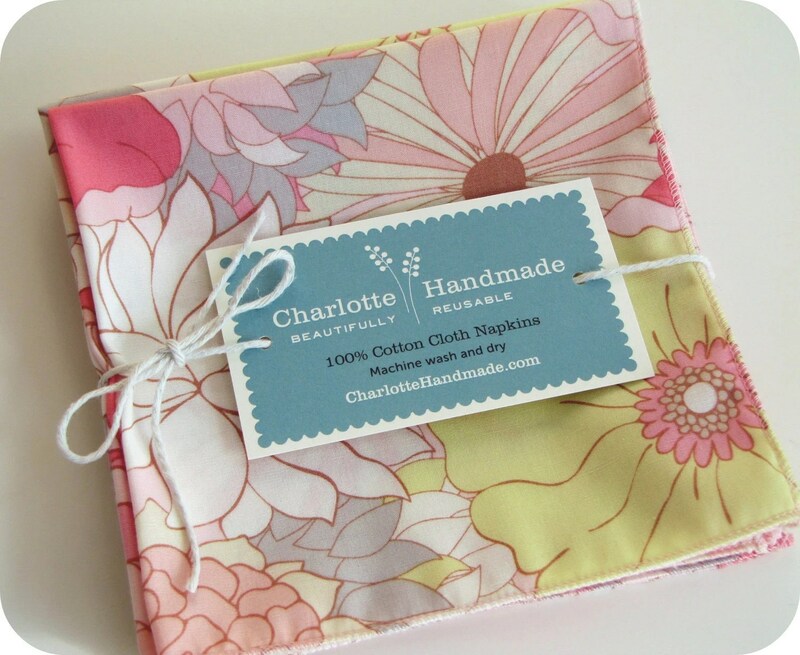 These floral napkins by Charlotte Handmade would add pizzazz to any summer party. 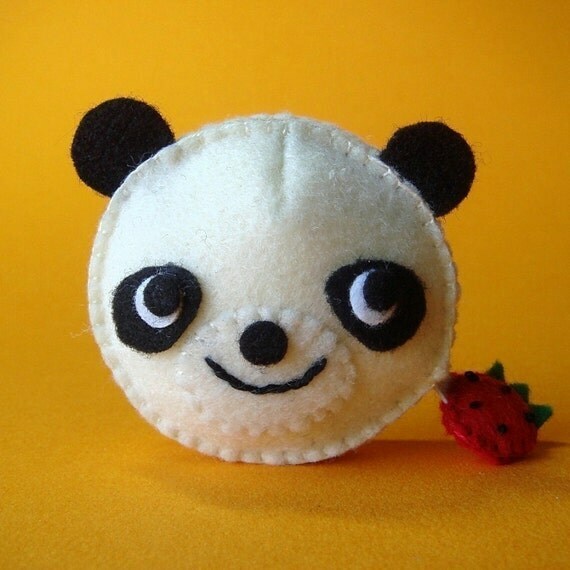 You may get a strange look or two when you pull out this panda measuring tape from Feltmates, but it’s totally worth it. I really loved the owl, too. 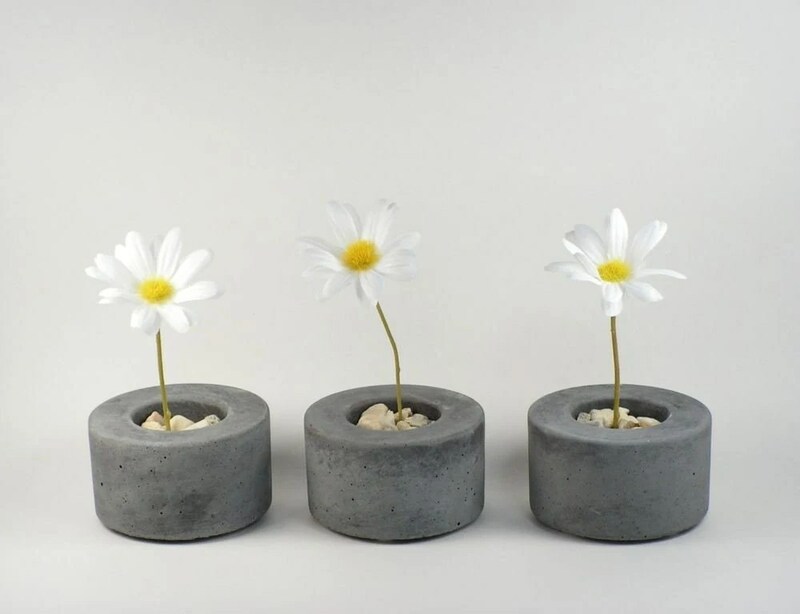 Back to concrete with this set of three mini planters from Rough Fusion. I must make something out of concrete soon. 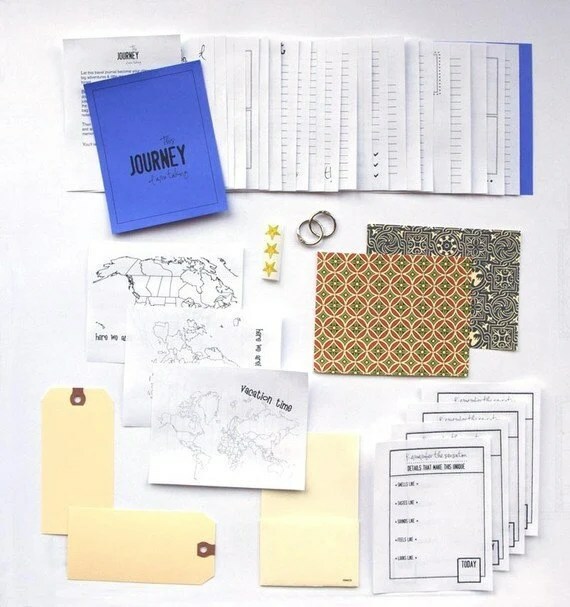 For summer travels, buy a travel journal from Making This Home, also from Montana. 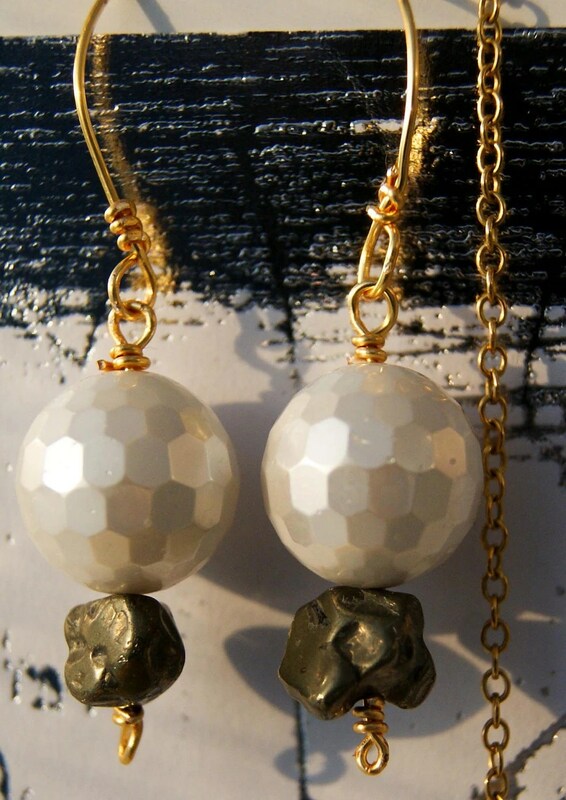 I love these earrings from Samantha Kay Jewelry, though there are a lot of great items. Even though we’re a few days late, it’s never too late to do some shopping, right? 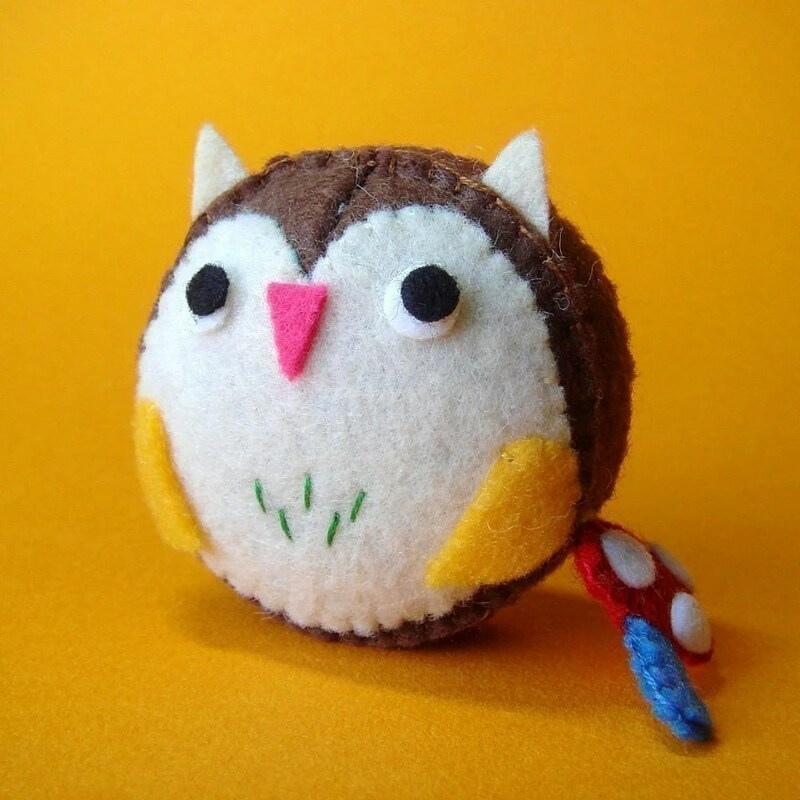 Have you added something(s) to your Etsy favs that I might like? Share a link in your comment. If you have an Etsy shop, please share it, too. 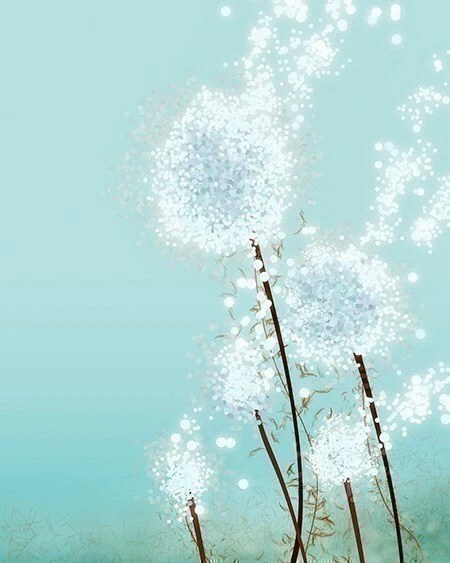 I love Marnie’s work. I actually have a Great Lakes cut out hanging in our basement. And, your shop items are fantastic! Thanks so much for sharing!! That first one is amazing, takes shadow puppets to a whole new level doesn’t it. I’ve sooooo been loving concrete lately. I always love your Etsy faves posts. You’re such a great curator! Charlotte, isn’t concrete fantastic?!? I want to try to make something, but I can’t find the time (or the right containers) to do so. 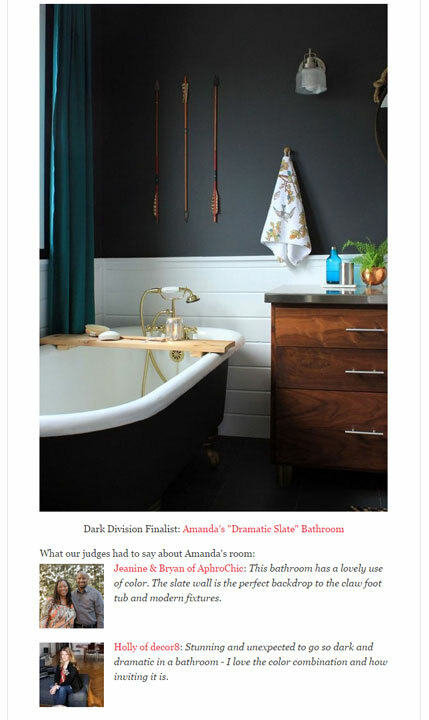 And, I’m thrilled to hear that you love the Etsy favs posts. 🙂 They’re so fun to put together.